Last August I volunteered with Canada 's first-ever Casting for Recovery (CFR) program. 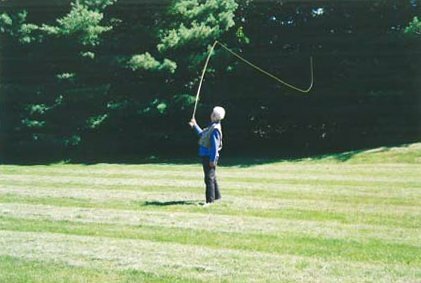 CFR has been offering fly-fishing retreats around the United States for the past eight years. The retreats are designed for women who have, or have had breast cancer. 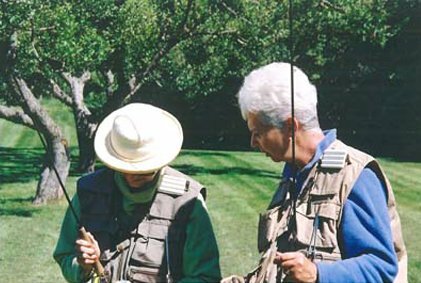 Health care professional and fly-fishing instructors volunteer for this unique initiative, which is funded through private and corporate donations. Canada's first ever Casting for Recover retreat was held on a hot, sunny weekend in august at a comfortable resort near Toronto . 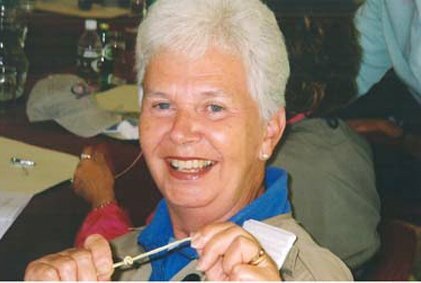 Fourteen breast cancer survivors, ranging in age from 34 to 68, joined a group of exceptionally dedicated volunteers to find support, share stories, make friends, and learn the fine art of angling. Against a backdrop of learning to assemble a rod, knot-tying sessions, casting lessons and trout ecology, there were many formal and informal discussions on medical and emotional issues related to breast cancer. Many in attendance appreciated the opportunity to share their stories and, in some cases, seek advice in such a relaxed atmosphere. While I consider myself, at best, an "advanced beginner", my role this weekend was that of a fly-fishing instructor. I learned quickly that being receptive and encouraging was just as helpful as being able to tie a surgeons' knot or attaching a reel. On day three, we headed off to the Upper Credit Trout Club, where the women were stunned to find themselves greeted by even more volunteers - a band of anglers, fully geared up and ready to take them fishing. Thanks to this group of "River Helpers", in no time we had fourteen new anglers "geared up" and casting into a well-stocked trout pond. Soon there were enthusiastic cries of "fish on" all around the pond. Several trout were caught but lost before a beautiful three-pound rainbow trout was hooked, played, netted, photographed, and released. There were tears and screams, jumping up and down and hugs and more tears. After our day on the river, we went our separate ways, but not before each of us pledge to keep in touch. I have no doubt that each person who participates in these retreats is changed by the experience and doing my bit to offer respite and distraction, I learned how fly fishing could help and heal.